'Everyone knows that you including your son won't be able to spend all the wealth that you have earned then why not at least pay the salaries of your employees,' the letter said. 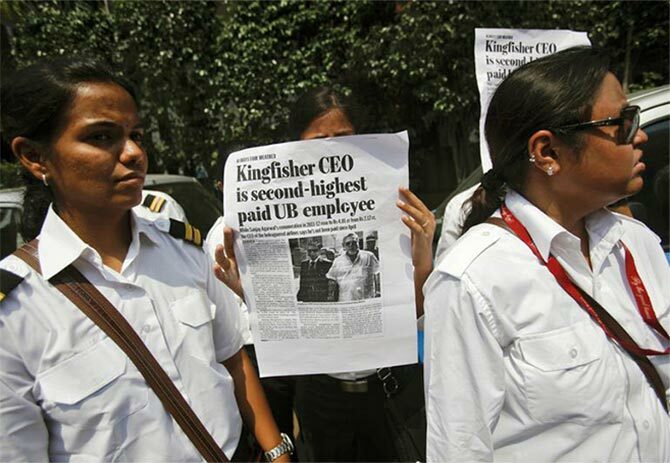 Former employees of the defunct Kingfisher Airlines have asked the intervention of Prime Minister Narendra Modi to prosecute Vijay Mallya for not paying taxes and clearing their dues, which they claim has hurt the image of airlines of the country. "It's also important to highlight that how much damage you have caused to the image of our country particularly aviation industry, because of your fraud upcoming airlines are finding it difficult to get aircraft on lease from the leasing companies," said a letter that was distributed on Saturday. Anjan Deveshwar, a former aircraft maintenance engineer at Kingfisher Airlines confirmed over email that the letter was issued by the ex employees and want "Mallya to be prosecuted." "Some of the leasing companies found it very hard to recover their aircraft while some of their aircraft have reduced to nothing more than junk, as a result new airlines have to pay very high lease amounts," the letter said. "Everyone knows that you including your son won't be able to spend all the wealth that you have earned then why not at least pay the salaries of your employees." The letter from former Kingfisher Airlines comes ahead of the Debt Recovery Tribunal order on Monday, which will look at a plea by lenders State Bank of India to direct Mallya and Diageo Plc to deposit $ 75 million or nearly Rs 500 crore (Rs 5 billion) committed to Mallya by the British liquor firm in the court. The banks have also submitted plea to arrest Mallya, impound his passport and disclose assets both of him and his family members in the DRT as well as the Karnataka High Court. Mallya owes nearly Rs 7,200 crore (Rs 72 billion) to banks over loans taken to run the airlines. Mallya's sole regret: Kingfisher is not flying when oil is cheap!